A suspected drunk driver has been taken into custody following a crash involving a Tennessee Highway Patrol trooper. 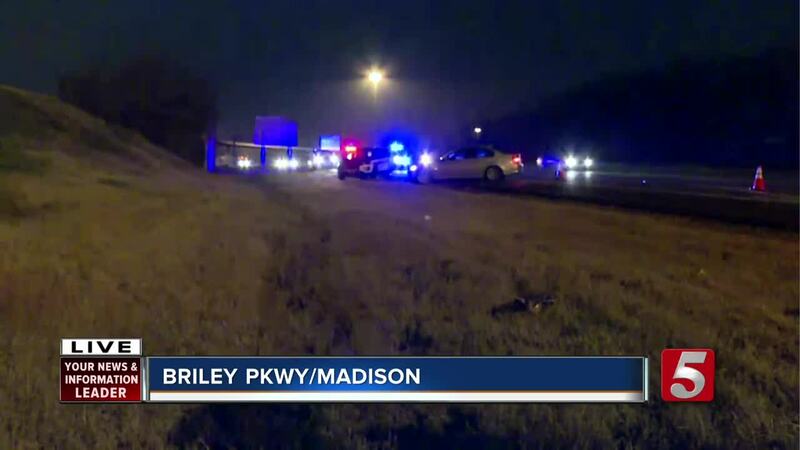 NASHVILLE, Tenn. (WTVF) — A suspected drunk driver has been taken into custody following a crash involving a Tennessee Highway Patrol trooper. The incident was reported early Thursday morning on the eastbound Briley Parkway exit ramp at Ellington Parkway. The trooper was running radar on the side of the road when 23-year-old Maria Carapia allegedly sideswiped the vehicle. She was given a field sobriety test at the scene and later placed into a THP cruiser. A tequila bottle was reportedly found inside her car. The trooper was taken to Vanderbilt University Medical Center for back pain. Carapia is facing charges of DUI, implied consent and drug possession.